I was approached to review this sparkling new release from Known to Collapse a few months back, and it was an easy sell. The delectable West Coast gem, “Circles of Time” grabbed and held me in its thrall immediately. 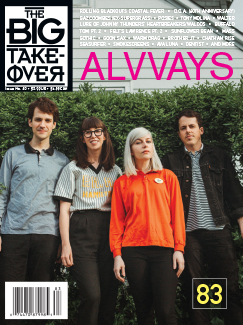 It is an indelible and infectious example of the sort of laid back jangle pop that you wish could go on forever. It is a tad over four minutes of heaven, and is one of the best songs of 2016 from this low key band. 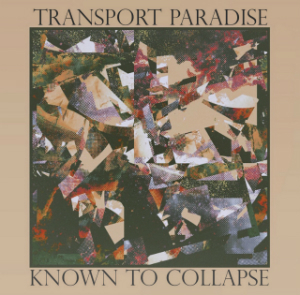 Consisting of Bay Area musician and audio engineer Kevin Lehner, bassist/vocalist Kabir Kumar, and drummer Michael Mays, the band released their debut EP Collectives in 2013 and are about to unveil their full length album Transport Paradise on January 20th. Psychedelia definitely figures into their sound, as does the sort of lo-fi indie rock made popular by bands ranging from Guided by Voices to Yo La Tengo. Power pop even figures into the mix, as diverse arrangements and themes abound on this album. Put the needle anywhere, and you’ll be drawn into an intoxicating melodic drift that sweeps you along with it. Opening track “What is Said” is minimalist and peaceful indie pop with restrained guitar and keyboards along with gentle percussion. The vocals are lovely and are the perfect complement to this neat tune. “Circulated Undercover Ground” dives deep into head-trippin’ psychedelia, complete with backwards vocals. After a minute or so, the main melody emerges like a sun-dappled fish from the waves of psych, though there are faint echoes of Led Zeppelin in the upbeat grooves. “All Over Again” is dreamy psych pop at its finest, unfurling its smooth, grand textures slowly with smooth vocals and some fine guitar work. “True To Your Game” starts off calmly enough, then takes flight with some rousing female vocals and horns. “Portland Nights” is a lovely acoustic number with folk and dream pop elements, both evocative and moody and a total standout on an already great record. “When Others Don’t” is a slight nod to their Hoboken brethren, but also ushers in something different with tastefully rendered steel guitar. In fact, it reminds me a tad of Honeychurch’s hushed dream poems. “You Will Always Find a Light” is nearly ten minutes of ambient sounds, field recordings, and finally it morphs into softly pounded drums with plaintive violin, sparkling vocals, and a tapestry of densely layered music. There is a lot happening, and it is best experienced with a good set of headphones. In summary, this is a cool release from a talented group of musicians with an array of musical genres to delight listeners. Catch up with the band on Facebook or over at the band’s home page.